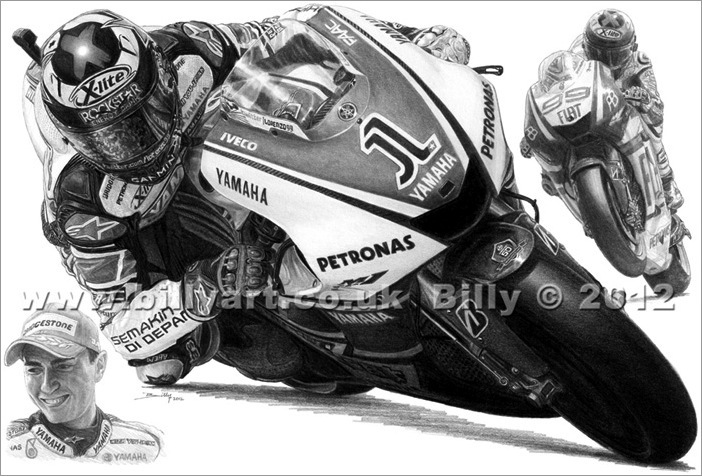 Limited Edition Print of Jorge Lorenzo Avaialble Now. Edition of 150 SALE £7 each With Free UK Post. The 2010 M1 and Jorgel Lorenzo are decked out in the Yamaha Factory 50th Anniversary decals.